According to the CDC, National Survey of Family Growth (2006-2010), 1 in 8 couples has trouble getting pregnant or staying pregnant. Infertility affects both men and women in equal proportions (40% each with 20% undetermined). Whether the cause is a single physical factor or multiple sources, the ramifications are stressful for couples wanting to start a family. Men’s Infertility comes in many forms and has several causes. Some cases of male infertility are due to anatomical abnormalities such as varicoceles and ductal obstructions. In such instances, western treatment is the better alternative for treatment. A significant percentage of infertility cases, however, are due to deficient sperm production. A man’s low sperm count, poor motility, morphology or sexual dysfunction can be related to imbalances within the body. 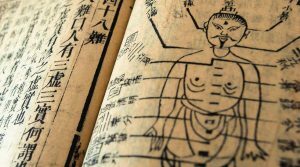 Chinese medicine has been used for hundreds of years to correct imbalances in the body and improve sperm quality and morphology. A 1997 European controlled study investigating acupuncture for male infertility found that treatment two times a week, for five weeks, produced significant improvements in all sperm parameters. The sperm maturation cycle averages 70-90 days. Therefore, it is most beneficial for men to receive acupuncture and herbs for at least three months before starting Assisted Reproductive Technologies (ART). Herbal medicine and nutritional supplements are also beneficial for male infertility. The acupuncturist decides for each patient which herbs and lifestyle changes may be most advantageous.